I am offering guided fishing trips within reach of Eugene Oregon. Located at the southern end of the Willamette Valley, near the confluence of the McKenzie and Willamette rivers, the areas around Eugene host a great variety of fishing options. Here we fish for Spring Chinook Salmon, Summer Steelhead, and Rainbow and Cutthroat trout. It is a short hop over the Coast Range where we target Fall Chinook Salmon, and Winter Steelhead. There is a lot to see and do in the area, especially for the nature lover. 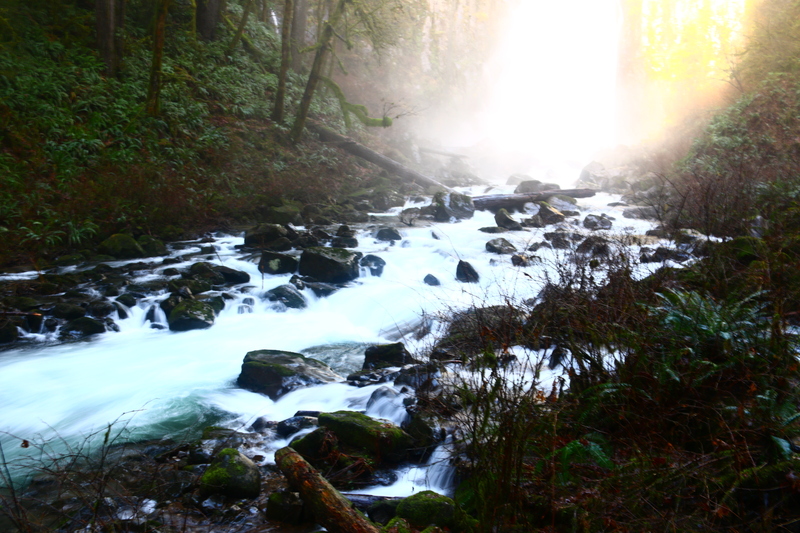 The Cascades and Coast Range have many magnificent waterfalls, and hiking trails in the Siuslaw and Willamette National Forests. The old growth forests around here are pretty awe inspiring, and something you should really see at some point in your life. Eugene has everything I could ask for in a major city, restaurants, lodging, breweries, and tackle shops. The Eugene airport offers direct flights to and from ten major cities.